Here is another Serenissima road car that never got beyond the prototype stage. This unregistered car was shown at the 1968 Turin, Geneva, and New York motor shows. It looks eerily reminiscent of a De Tomaso Mangusta, but with bits of other cars of the era sprinkled in that you just can’t put your finger on. The design was done by Tom Tjaarda at Ghia. Interestingly enough, Giovanni Volpi, who owned Serenissima, was good friends with Alejandro de Tomaso, who owned Ghia at the time. 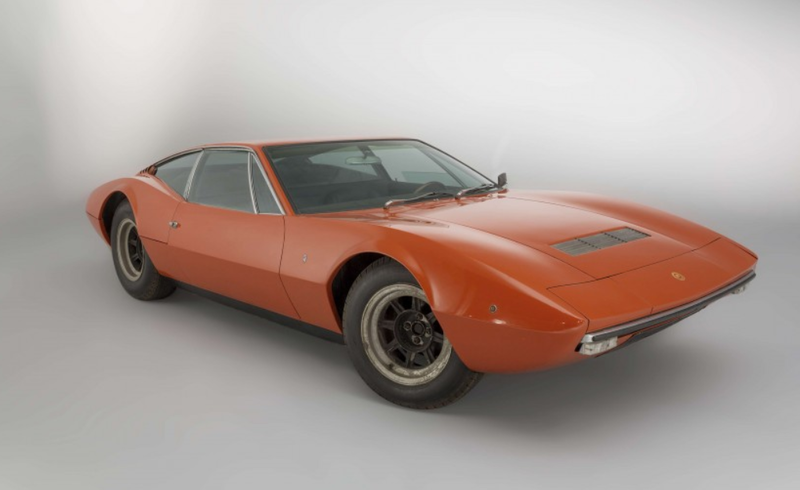 They joined forces to build this car, which is perhaps why it has that Mangusta DNA in its blood. Power is from a 3.5-liter V8 that was good for 320 horsepower. This car is still owned by Volpi, who has not used it in a long time. It will require a recommissioning before use, but it is the only example built. Therefore, it should command between $450,000-$675,000. Click here for more info and here for more from this sale. This entry was posted in Uncategorized and tagged 1968, artcurial, auctions, cars, classic cars, ghia, gt, prototype, Serenissima by classiccarweekly. Bookmark the permalink.